A while ago I wrote about the shoelace knot that never comes undone, but it seems my efforts to learn this amazing knot may have been wasted. 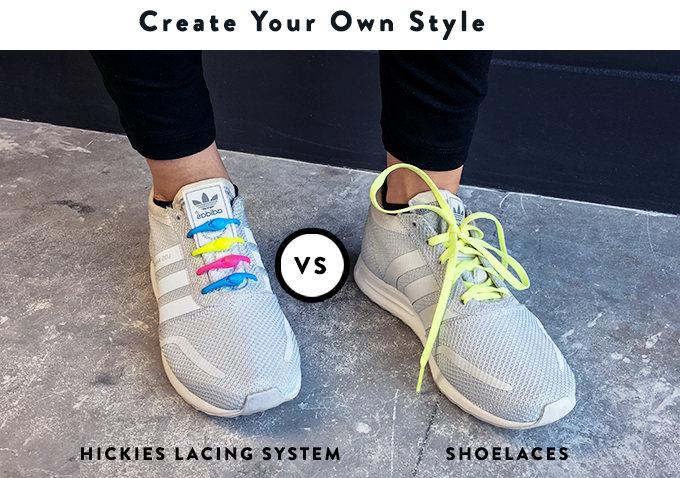 According to Gaston Frydlweski and Mariquel Waingarten, the inventors of the Hickies Lacing System, no one will ever need to learn to tie a shoelace again. This inventive way of keeping shoes on your feet was launched via a Kickstarter campaign in 2012. And they managed to raise over $150,000, six times more than their initial target. Since then the company has sold over 2 millions sets in 45 countries, and continues to grow. Call me old-fashioned, but I’m not quite ready to ditch my trusty old laces for this futuristic replacement. But I do admire the founders for persevering with their 20 year dream of improving how you lace you shoes. 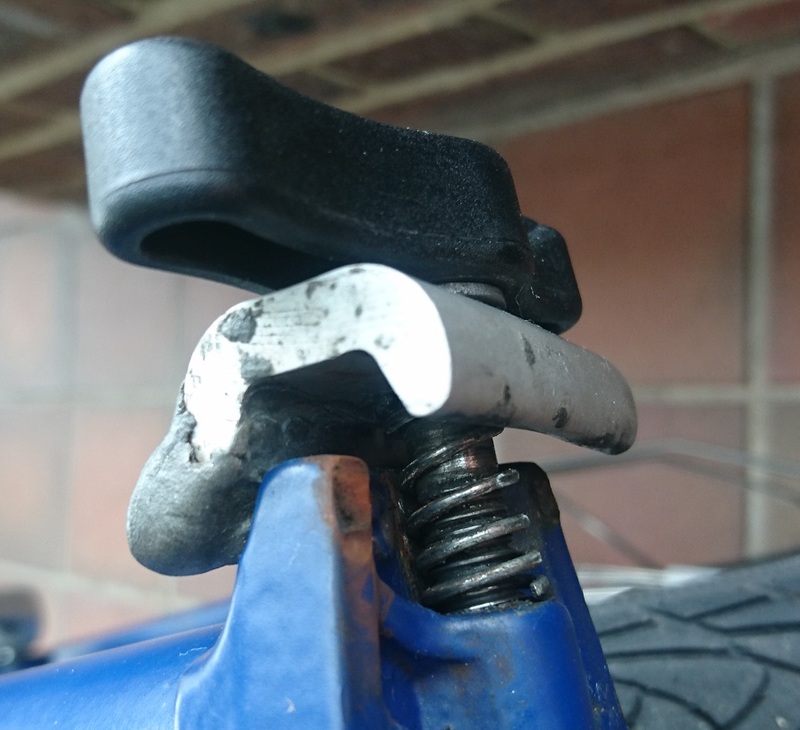 This entry was posted in gadgets, inventions, Patents, work/life and tagged Hickies, shoe laces, shoes on 9 March 2018 by ninfield. My dad has always been something of an early adopter, keen to try out new ideas and inventions. He bought a Sharp EL-801 one of the first pocket calculators, a Sinclair ZX 80 computer, and VisiCalc, the first spreadsheet. So I shouldn’t have been surprised to find a shiny new set of Trolley Bags in his cupboard the other day. 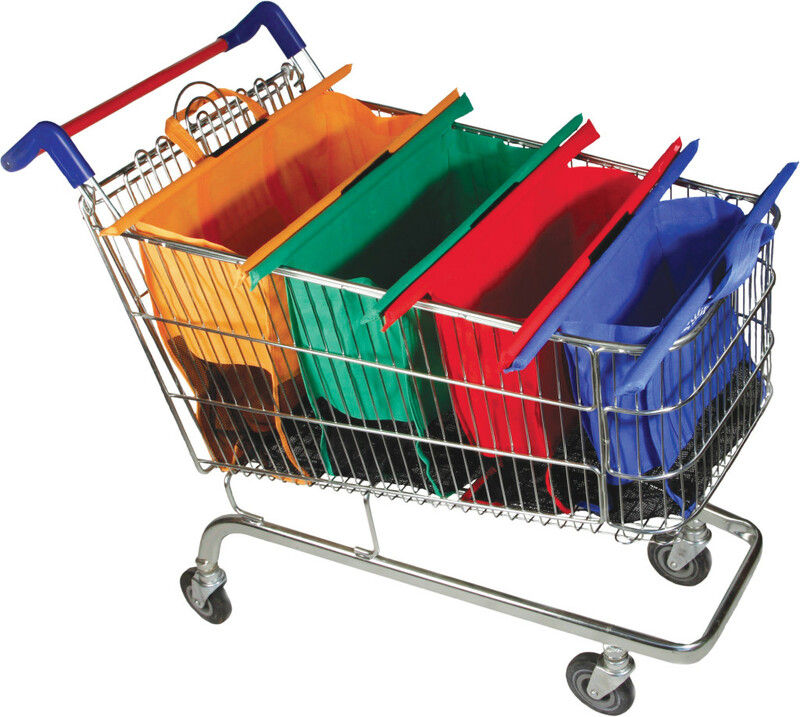 A little research shows the colourful product was invented in Ireland by Paul Doyle in 2010 and is protected by a patent for A Re-usable Bag System. With the imminent charge for plastic bags in England, the time is right for Trolley Bags to clean up. The Single Use Carrier Bags Charges (England) Order 2015 comes into force on 5 October. And the order requires sellers who employ more than 250 people to charge 5p for a “single use carrier bag” which is less than 70 microns (0.07mm) thick. 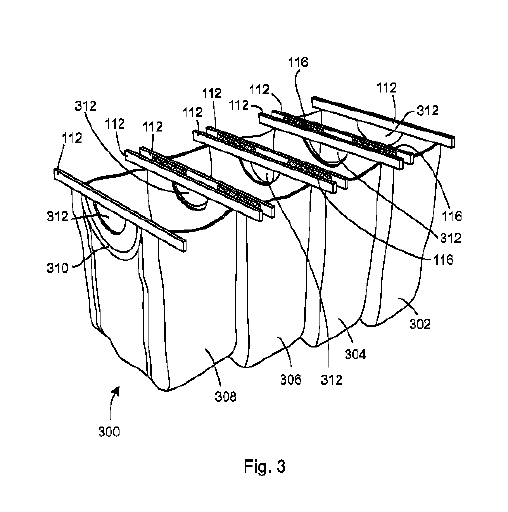 This entry was posted in Advertising, gadgets, going green, inventions, marketing, Patents, work/life and tagged shopping, shopping bags on 1 October 2015 by ninfield. 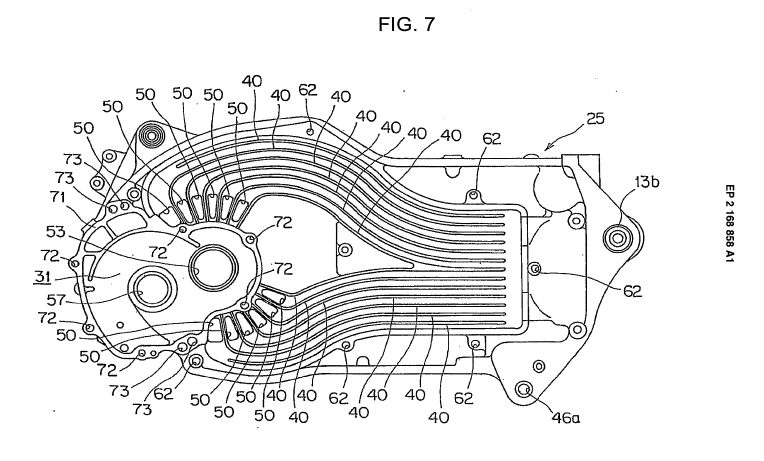 I normally leave the coverage of all things patent related in the capable hands of my colleague Steve van Dulken and his Patent Search Blog. However, Steve is not the keen biker I am (nor the owner of the best motorbike ever created). So he is unlikely to have come across this story in the latest issue of Bike Magazine. 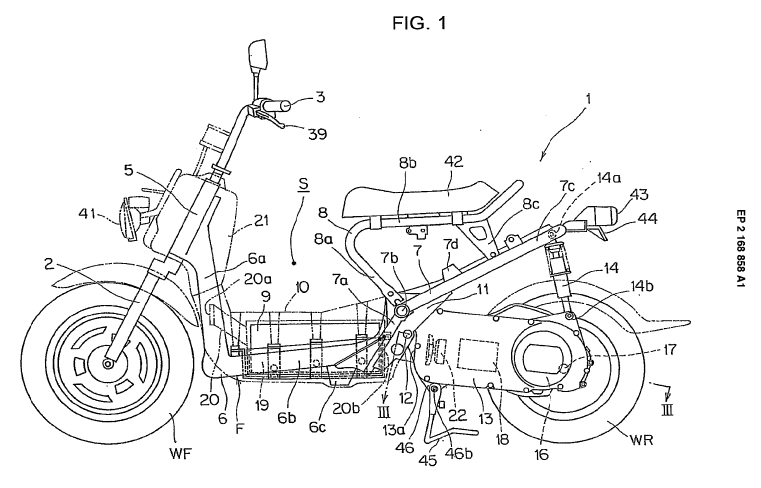 It is about a patent for an electric motorbike from Honda in Japan. 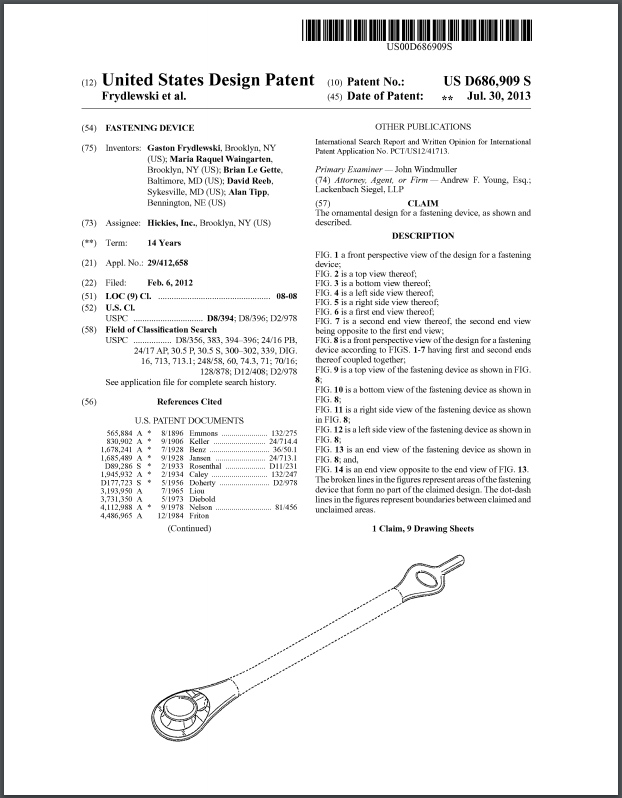 And I have to admit I struggled to read all 19 pages of the patent application. 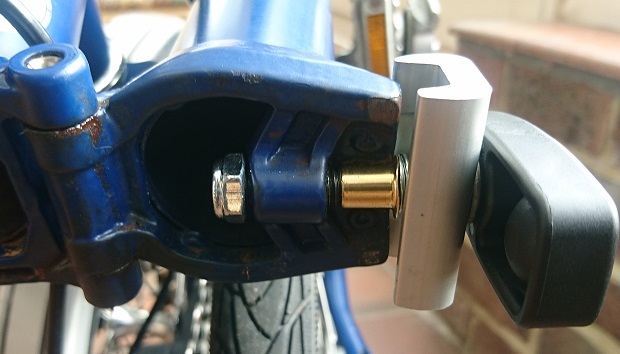 But my understanding of the innovation, is the use of smaller electric motors located near the rear axle. 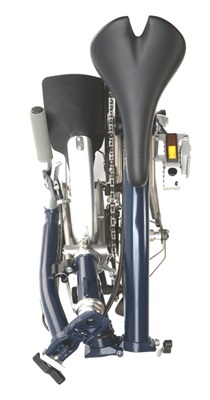 This avoids the need for a traditional chain to provide motive power from the engine to the rear wheel. The point of this story is that you can use patents as a form of market research. It is unlikely Honda would go to the trouble of protecting this idea if they weren’t planning to launch an electric motorbike in the near future. This entry was posted in business startups, Design, market research, Patents, technology, work/life on 23 October 2012 by ninfield. After a couple of years absence I decided to re-visit the British Invention Show (BIS). For this year they had moved from the echoing halls of Ally Pally in north London, to the recently revamped Spitalfields market in east London. For sixteen years Spitalfields had been my regular lunchtime haunt, so I was curious to see how much it had changed since its rebuilding. The area now consists of a mixture of shiny new office buildings, trendy boutique stores and restaurants, as well as the traditional brick-a-brack and jewellery market stalls based in the old food market. The visit got off to an expensive start when allowed myself to be lured into a branch of Montezuma’s chocolate shop and purchase a bar of Brighton’s best ethical chocolate ginger. The British Invention Show exhibition space had been built underneath the market hall and was smaller than I was expecting. However, once inside the material ‘roof’ meant you forgot about the market outside and concentrated on the exhibiting stands. As in previous years the number of British inventors was really quite small, compared to those from abroad, especially from Malaysia and Saudi Arabia. There were even a few from Iran. However, as in the past there were still a few exhibitors who made the trip worthwhile for me. An additional incentive for going along was an opportunity to meet Tara Roskell writes two excellent blogs – graphic design blog and Ideas Uploaded, about inventing and licensing. She interviewed me December last year, so it was nice to finally get to meet her in person. We teamed up to question the more interesting inventors at the show, and you can read her critical review of the exhibition (British Invention Show 2011 Hit or Miss). It turned out that many of these wacky inventions were the brainchild of famous Spanish designer and promoter Pep Torres. They are not intended for production but to stimulate visitors to be creative themselves. Children who visit the museum are encouraged to draw their inventions, and each month the best ones are awarded a patent by the Spanish patent office. Our guide to the MIBA stand – something of a miniature version of the museum located in central Barcelona, was passionate about this new venture. And explained each of the real and imaginary inventions with great enthusiasm (with the notable exception of the Single Bed which she seemed rather embarrassed about). As Tara and I were leaving she offered us a red pill from a large glass bowl. I assumed this was the traditional exhibition freebie sweet, so was rather surprised when she stopped me swallowing, it and insisted I open it up to reveal a rolled up paper business card. She responded to our puzzled expressions by referring to the famous scene in the Matrix film; After this, there is no turning back. 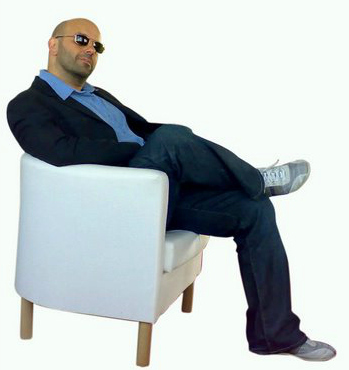 You take the blue pill – the story ends, you wake up in your bed and believe whatever you want to believe. You take the red pill – you stay in Wonderland and I show you how deep the rabbit-hole goes. The other highlight for me was meeting the enthusiastic inventor of the FreedMan Chair – Simon Freedman. He is an osteopath by profession and and has spent many years and even more prototypes developing his unique solution to lower back pain. I have to admit it does look a bit weird, but having never regreted spending £800 on Scandinavia’s finest ergonomic seating in the shape of an RH Logic 400 over ten years ago, any chair that relieves back pain is worth investigating. The concavity of the FreedMan seat pads provides support around the ischial tuberosities in such a way that the need for padding is reduced and even eliminated. Located around the tuberosities are the ischial fat pads and further out are the buttock muscles. The concavity of the seat pads around the tuberosities supports these structures and hence the body provides its own cushioning. In chairs with flat seat pads, the pointy tuberosities push through the surrounding layers, which soon causes discomfort. You can read much more technical information about the development of the FreedMan Chair on his website. It was great to hear that Simon is a fan of the Business & IP Centre and has been a regular visitor as his chair developed. I look forward to hearing much more about this exciting re-invention of the chair. 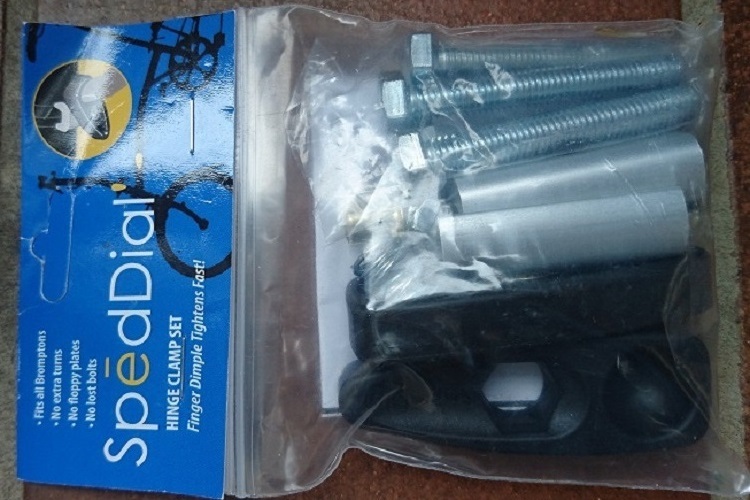 This entry was posted in business startups, inventions, IP issues, Patents on 31 October 2011 by ninfield. Birgitte Lydum recently got in contact with some lovely comments about her experiences of using the Business & IP Centre. I first went to British Library’s IP & Business Centre in 2009, when I realised that I needed help with pretty much everything to do with my business idea – a multi-configuration pram cover. I’d just moved past the point where I thought a good product idea was enough, and had realised that I was going to need to educate myself on many levels, before even hoping to succeed getting the product on the market. So I signed up for seminars on the subjects of intellectual property, business plans, market research, marketing, business finance, a one-on-one with an invention specialist, a one-on-one with a successful entrepreneur, and three hours of free market research with a full report delivered to me – just to mention a few of the amazing services available. I also attended several brilliant networking events listening to and meeting various well known and inspirational entrepreneurs. Many of the people I’ve met at these events, fellow business owners I’m still in contact with today. I was blown away by the quality of the seminars, the staff’s helpfulness, and the amount of information available to me, all for free. I had no idea that there was so much to learn in this wonderful building, buzzing with ideas, creativity, enthusiasm and determination. A bit annoyed with myself for not discovering the place earlier I decided to go there whenever possible, to focus, to learn and to develop my business in the best possible way. One day, when preparing my patent application in the quiet, clean and comfortable computer area of the centre, I was encouraged by a staff member to try a one-to-one with one of their Information Specialists, who in my case turned out to be Julie Simpkin. It’s without a doubt one of the best decisions I was to make for helping my business materialise. In just one hour Julie taught me so much more about what I wanted from my business than I’d ever be able to learn by myself, from a book or the internet. For me, she had the effect of a really good business/life coach. We discussed my ideas for the product and the business, and gave me a lot of constructive and sincere encouragement. Julie was the one to suggest that I separated the company name (Baby Beamers) from the product name (SunSnoozer, instead of Baby Beamers Pram Cover), in case I wanted to add more products later. Good practical advice like all the other nuggets of brilliant advice I left with. She made me commit to my goals there and then by getting me to sign a to-do list for our next meeting, and I floated away from there, head and notebook crammed with new ideas, and a much better and clearer understanding of what it was that I wanted from my business. 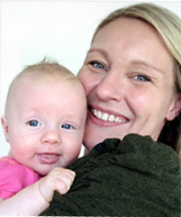 Baby Beamers Ltd was founded by Danish designer Birgitte Lydum, when she realised that a pram sun cover she had invented to protect her baby against the sun and make it easier for her to sleep, filled a gap in the market. After numerous prototypes, extensive market research and product testing the SunSnoozer is now available to buy. Other products to help make life easier for new parents are in development. Encourages better sleep by eliminating bright light and visual distractions. Allows constant view of baby, while still eliminating direct sun or wind. 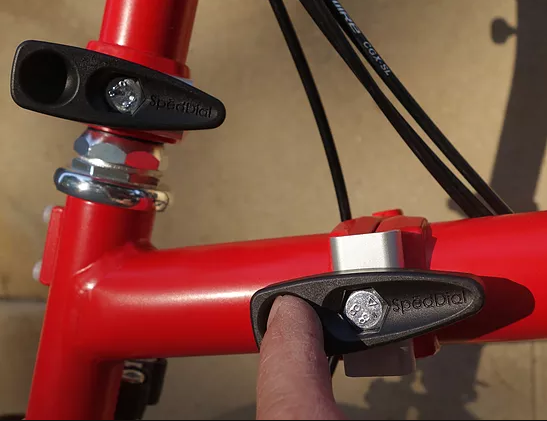 7 different configurations allow full protection no matter the wind/sun’s direction. Easy access – no need to detach cover when lifting baby in and out of pram. Can be left on the pram, saving valuable storage space. Machine washable. Fits easily under rain covers, mosquito nets and any other pram accessories. UPF 50+ (click HERE for test details, and further info on baby sun protection). The ultimate no fuss, all-season, all-round pram accessory for new parents. This entry was posted in British Library, business information, business startups, inventions, Patents, Success Stories on 18 October 2011 by ninfield. Working with others to make new ideas fly is the strap-line for a European Union funded project to promote open innovation principles across the North West Europe region. The British Library is a partner in this three year project along with partners from France, Germany, Belgium, Ireland and other parts of the UK. The concept of open innovation is simply that by being open to external input you are more likely to develop innovative and successful products or services. This is because it is unlikely that any single organisation will have all the skills, knowledge, experience and perspectives needed in-house. Open innovation covers a range of types of activity including crowd-sourcing, co-creation and includes activities with varying levels of openness and transparency. Stefan Lindegaard from 15inno says that people should view open innovation as ‘a philosophy or a mindset that they should embrace within their organization. This mindset should enable their organization to work with external input to the innovation process just as naturally as it does with internal input’. Examples of organisations that have applied open innovation are: ‘Orange, Procter & Gamble, Boots, Lego and Virgin Atlantic. How to make the contacts needed with external organisations and people and develop long-term mutually beneficial relationships. This a particular concern if businesses are of differing sizes. How to overcome the internal organisational cultures which may be uncomfortable with the kind of openness, transparency and perceived loss of direct control which are involved in applying these ideas. How to protect ideas and creative outputs when these are being shared and an uncertainty as to how intellectual property fits into an open innovation environment. On 29 November the British Library is hosting a half-day conference which looks at these challenges head on. It is called ‘Open Innovation: The Challenges & Solutions’. We have brought together a great selection of experts and practitioners from organisations like 100% Open, Creative Barcode, Procter and Gamble and Quantum Innovation Centre to debate these issues. 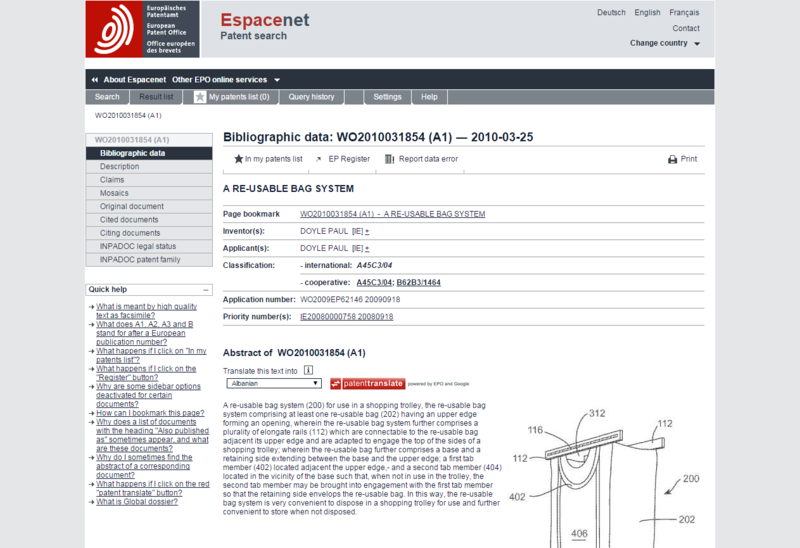 This entry was posted in British Library, inventions, IP issues, Open Innovation, Patents on 14 October 2011 by ninfield. Something of a surprise on my way home tonight to see a full-page advert for our Success Story SquidLondon in the Evening Standard. Fashion graduates Emma-Jayne Parkes and Viviane Jaeger founded SquidLondon after being inspired by Jackson Pollock. They thought it would be cool to walk down the street, it starts to rain and your clothes turn into a walking Jackson Pollock. Their first product, the Squidarella, is an umbrella that changes colour as it rains. Developing such an innovative product meant that intellectual property – protecting their ideas – was an essential topic to crack. The pair visited the Business & IP Centre to learn more about how intellectual property applied to them. 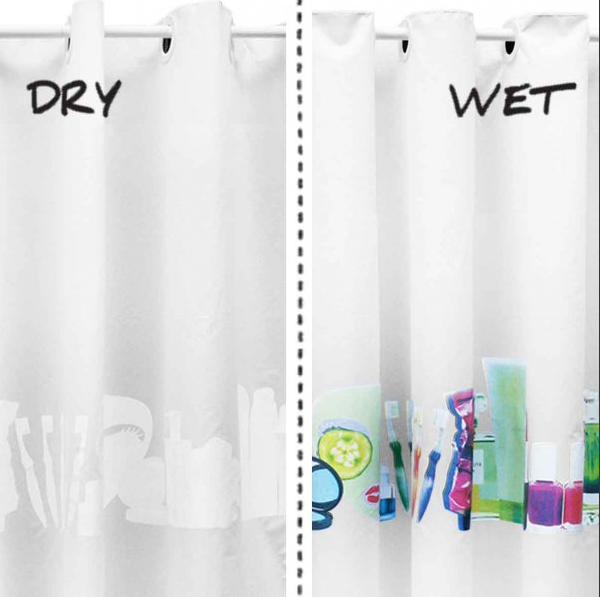 Squid have now moved to the bathroom with their latest product : ‘Miss Squidolette’ Shower Curtain! This entry was posted in Advertising, branding, British Library, business information, business startups, Design, funding, gadgets, humour, inventions, Patents, Success Stories, technology, Trademarks on 12 September 2011 by ninfield.